*Dilly Dolls*: Candies for your tootsies! Since Vintage Fair started, I have been in an all out retro mood, so I decided to keep creating! 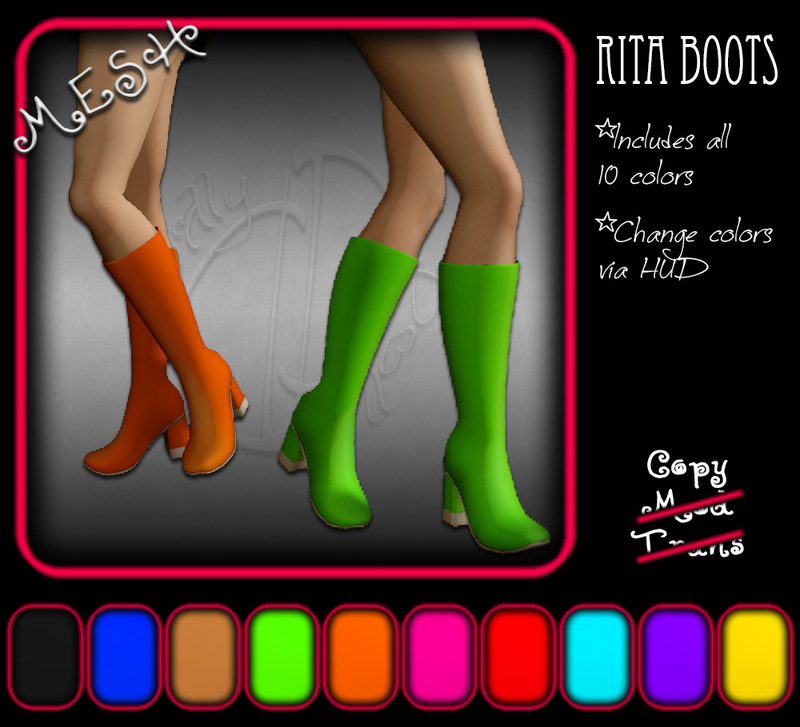 When I made Rita, I thought, "hmm....needs shoes..." Unfortunately, I had JUST managed to get Rita done right before the event started, so I did not have the time to make anything else to add in my stall. But I have them done now, and they are available at the main store! 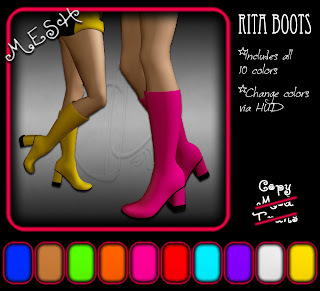 These boots perfectly match each color of the Rita dress, so you hafta hit up the Vintage Fair to grab that too! And of course, since there is a freebie version of the dress, there has to be a freebie version of the boots to match! Only difference is, you gotta win em by filling up the MM board! Hope to see you soon, my lovelies!